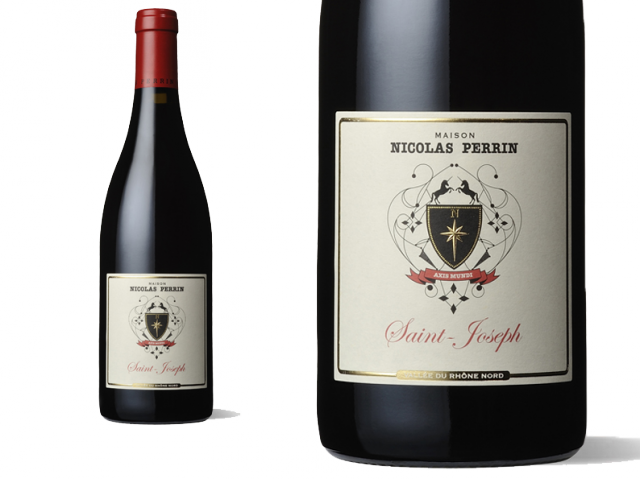 This joint venture between Nicolas Jaboulet and the Perrin Family continues to source high quality wines from the northern Rhône. 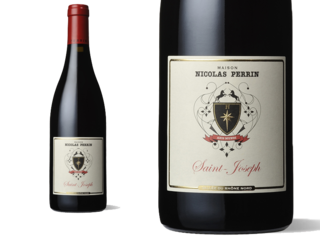 This Saint-Joseph is a spicy, plummy wine, somewhat chunky on the palate while remaining reasonably light afoot and finishing with soft tannins. Ruby-red. Dark berries, cherry pit and olive on the smoke-tinged nose. Chewy and focused, offering nicely concentrated bitter cherry and cassis flavors and a touch of cracked pepper that gains intensity with air. Closes with excellent lift and cut, leaving spice cake, licorice and black tea notes behind. A juicy, engaging style, with a core of energetic plum and blackberry compote flavors, studded with anise, apple wood and tobacco details. Dark and juicy with tangy wild plum and blackberry with firm acid structure; fleshy, minerally, rich aromatics, black pepper and spice; vibrant and long. Le Saint Joseph, aux tanins (...) construits, de moyenne garde.